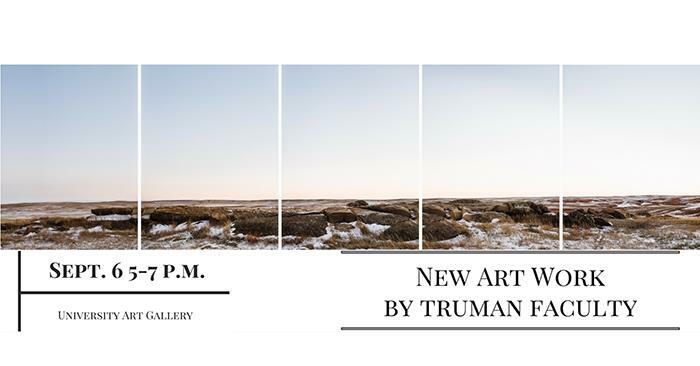 The University Art Gallery in Ophelia Parrish will present “New Works by Truman Faculty,” featuring art from professors Laura Bigger, Amanda Breitbach, Aaron Fine and Francine Fox. While the show can be seen during regular gallery hours, a special reception will take place at 5 p.m. Sept. 6, during which the artists will be present to discuss their art over drinks and dessert. Bigger, assistant professor of printmaking, will present works that explore the relationships that exist among humans, animals and ecosystems, particularly in terms of the food chain, raw materials and the human tendency to exert control over natural systems. Her recent showings include: an upcoming solo exhibition at the Form & Content Gallery, in Minneapolis, Minn.; “Hydroponic Table,” at the Hungry Turtle Institute in Amery, Wis.; and “Thinking, Making, Living,” at the Katherine E. Nash Gallery in Minneapolis. More of Bigger’s works can be seen at her website, laurabigger.com. Breitbach, part-time lecturer of photography, will present Americana photography focusing particularly on the landscapes and peoples of the liminal between Midwest and Western agricultural communities. Breitbach’s recent showings include: “Art about Agriculture 2016: Agriculture of the American Landscape,” at Oregon State University’s Giustina Gallery; “Constructed Realities: SPE Combined Caucus Exhibition,” at Red Rock Resort in Las Vegas; and “Nebraska,” at Prescott Gallery in Lincoln, Neb. More of Breitbach’s works can be seen at her website, amandabreitbach.com. Fine, professor of art and chair of the Art Department, will present coloring book plate illustrations created for his upcoming book, “Dialogues on Color,” which will be released Feb. 14, 2017. He encourages the audience to color and keep the copies of the book plate illustrations provided at the coloring station, which are intended to engage the audience with coloring book exercises that are admittedly paradoxical. Fox, assistant professor of foundations and interdisciplinary studies, will present works that explore spaces between the notions of physical and metaphysical, rationality and faith, chaos and order, and the individual and the collective. Her recent showings include: “Drawing,” at the Red Raven Art Company in Lancaster, Pa.; “International Art Exhibition,” at the International Nigde City Contemporary Art Museum in Bor Nigde, Turkey; and “The New New: Galley Artists’ New Work,” at Kenise Barnes Fine Art in Larchmont, N.Y. More of Fox’s works can be seen at her website, francinefox.net. 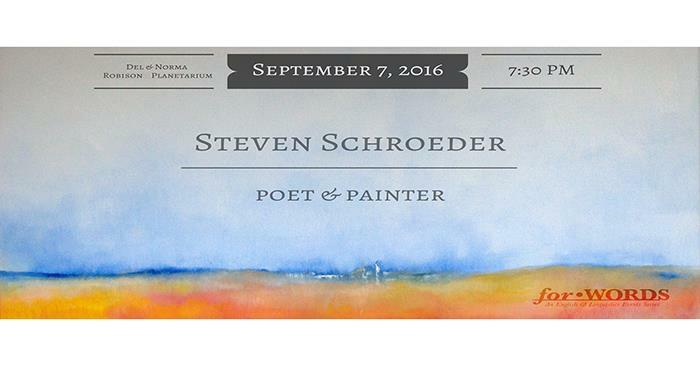 Author, artist and poet Steven Schroeder will use Truman’s planetarium to present a special selection of poetry and paintings. Schroeder describes himself as “a poet and visual artist who has spent many years moonlighting as a philosophy professor.” Often his works focus on emptiness, an ongoing investigation of what’s not present and the use of a single image. All of Schroeder’s art asks the audience to be contributors and creators, leaving more than the art originally contained. Both an accomplished artist and author, Schroeder’s works include: “What’s Love Got To Do With It? A City Out of Thin Air,” a collection of eight public lectures he has given on a variety of topics and authors; paintings and visuals for Jonas Zdany’s book of poetry “Red Stones”; and his own book of lyric poetry “the moon, not the finger, pointing.” Schroeder’s visit to Truman is part of the English and Linguistic’s “For•Words” series. This event is free and open to the public, and will take place at 7:30 p.m. Sept. 7 in the Del & Norma Robison Planetarium. For more details regarding the artist’s work, visit stevenschroeder.org. An information meeting for the Spring 2017 Missouri Government Internship Program will take place at 4:30 p.m. Sept. 14 in Violette Hall 1412. 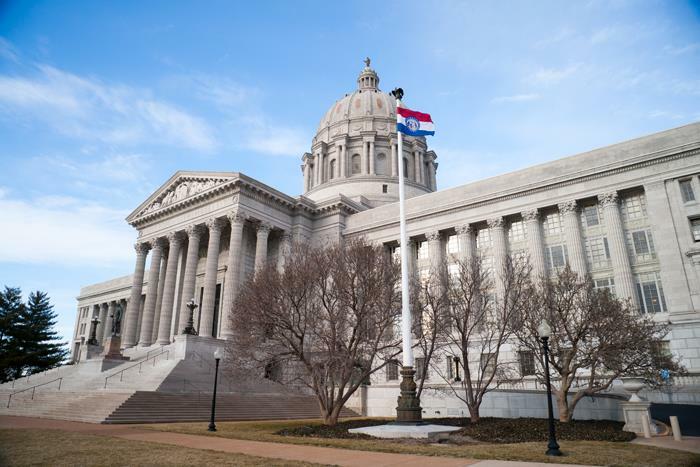 Last year, senior Kaitlyn Burke interned at the Missouri State Capitol during Spring 2016 for Sen. Jill Schupp. From that experience, Burke was hired for a full-time position with the Koster for Governor campaign. By participating in the Missouri Government Internship Program, Burke noted the invaluable opportunities she had that will continue throughout her career. All majors are encouraged to apply. Emily Harrison, a junior agriculture business major, was an intern during Spring 2016 for Sen. Brian Munzlinger. As a student outside of the political science major, Harrison spoke highly of how the professional experiences and knowledge of being at the Capitol applied to her classes and academic future. The Truman State University Foundation provides selected interns with a stipend. Interested students should click here for more information and to view the internship application. Additional information will be presented at the meeting, Sept. 14. Questions can be directed to Candy Young or Heidi Templeton. 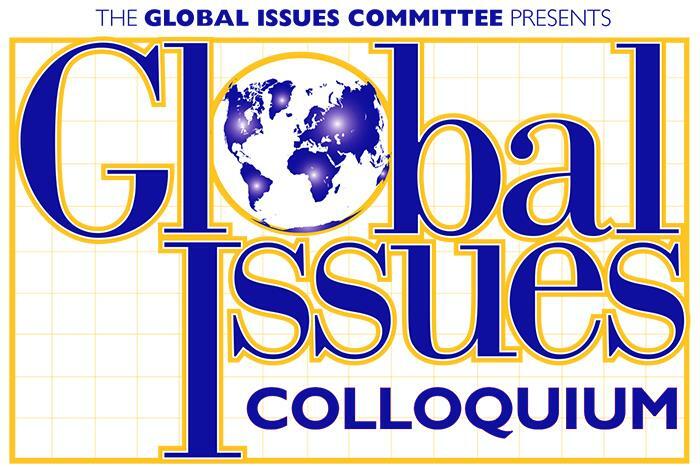 This fall, the Global Issues Colloquium will feature five events to help raise campus awareness of current international issues. The first event of the colloquium, “Transnational Latin American Revolutionary Solidarity with the Puerto Rican Nationalist Party in the 1950s and Beyond,” will take place at 7 p.m. Sept. 15 in Magruder Hall 2001. This presentation will use the stories of Carlos Padilla and Rosa Meneses, two members of the Puerto Rican Nationalist Party (PRNP), to examine three issues related to Puerto Rico and Latin America in the 1950s. The issues this presentation addresses largely occurred prior to the 1959 Cuban revolution, but they provide insight into the revolutionary currents that existed throughout Latin America in the pivotal decade leading up to it. Other presentations scheduled for this semester include: “The Fight against Corruption and Impunity in Honduras,” at 1:30 p.m. Oct. 11 in Student Union Building Georgian Room C; “International Development: Is there hope?” at 7 p.m. Oct. 20 in Magruder Hall 2001; “Natural Treasures in Peril: Challenges and Successes in Conservation from the Himalayas,” at 7 p.m. Nov. 10 in Magruder Hall 2001; and “Youth and African Development - Harnessing the Demographic Dividend” at 7 p.m. Dec. 1 in Magruder Hall 2001. The colloquium was first developed more than a dozen years ago as an informal attempt to broaden conversations about current issues affecting the world. More recently, it has found a niche within the structure of the International Studies Program. Charged with “sustaining and enhancing an atmosphere in which global thinking becomes habitual,” the colloquiums aim to help the broader community understand the “strengths, beauties and core humanity of other cultures.” For further information on these event, visit the Global Colloquium’s webpage at globalissues.truman.edu. 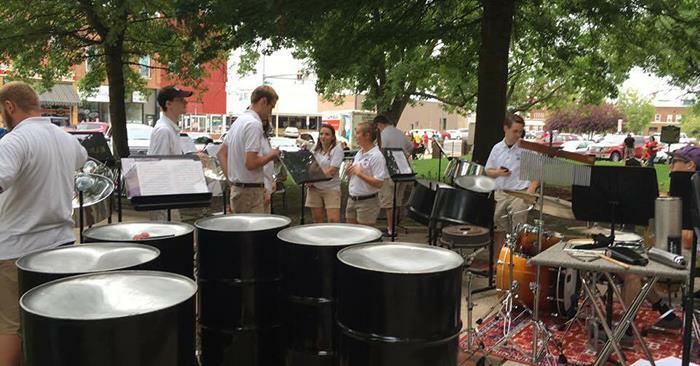 The Truman State University Steel Band performed the finale concert at the Kirksville Arts Association’s annual “Summer On The Square” concert series, Aug 26. This was the fifth year in a row that Truman Steel has been invited by the Arts Council to present the finale concert. The concert welcomed a large audience of community members, University faculty and students to a variety of traditional music from Trinidad and Tobago. The annual publication is compiled based on data collected from surveys of administrators at several four-year colleges. Additionally, consideration is given to surveys of students, as well as campus visits and the opinions of the Princeton Review’s 24-member National College Counselor Advisory Board. 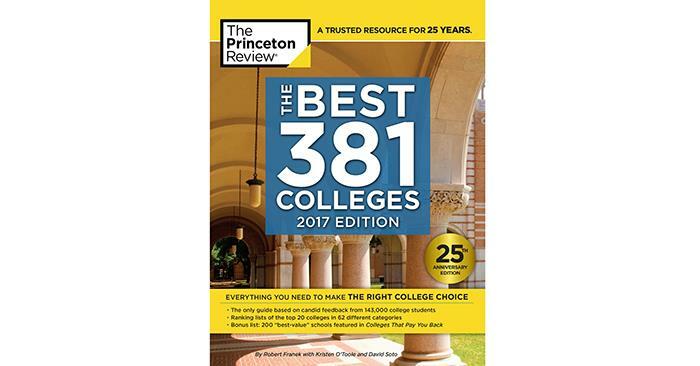 Schools included in “The Best 381 Colleges” are not ranked, but the guidebook does include ratings for each school in the specific categories of academics, admissions, selectivity, financial aid, fire safety and green, a measure of a school’s commitment to sustainability and the environment. Profiles for each of the schools included in the book can be found at PrincetonReview.com/best381. Princeton Review is an education services company known for its tutoring, test-prep courses, books and other student resources. Phi Beta Lambda is the largest national business organization and is open to all majors. PBL activities can complement students’ academic experience and give them an edge in their future careers. The organization also enhances members’ leadership skills through community service projects, fundraising activities and chapter officer positions. The High Street Dancers will be conducting fall 2016 tryouts. 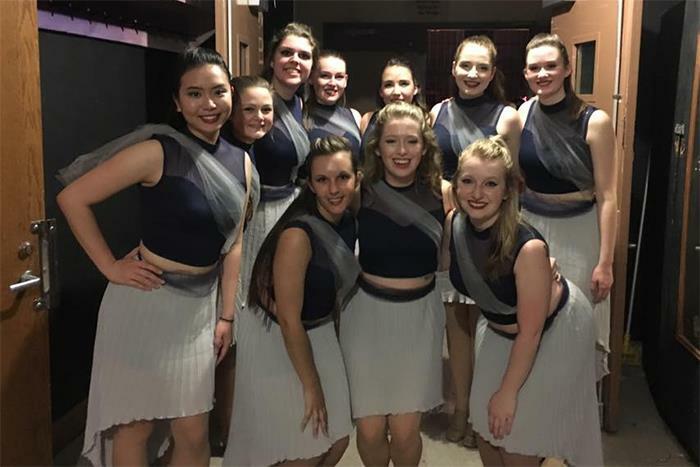 High Street Dance team is an audition-based, student-led dance group, focusing in jazz, lyrical and contemporary, with some hip-hop and modern dancing. The tryout fee is $3. Learn the tryout combinations at one of the scheduled times. For further information, contact the High Street Dancers faculty sponsor Melody Jennings. 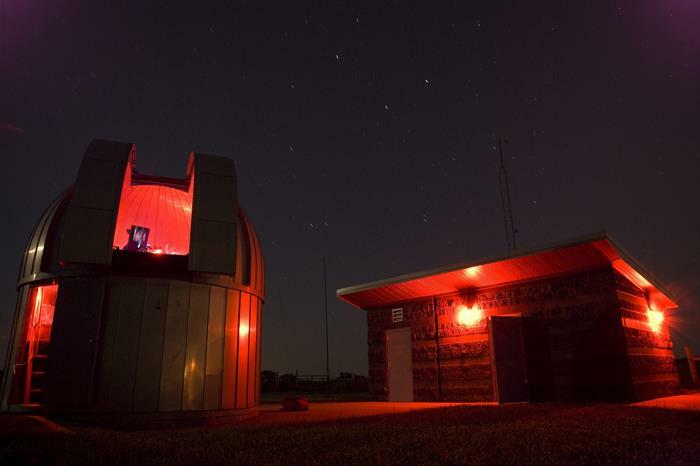 View the Moon, Saturn and Mars through the telescopes at the Truman Observatory. View Saturn, Mars, the globular cluster M13, the Ring Nebula and other deep sky objects through the telescopes at the Truman Observatory. View the Andromeda Galaxy, the Ring Nebula, the Double Cluster and more. View the Andromeda Galaxy, the Ring Nebula, the Double Cluster and Albireo. Open Mic Night is an opportunity to showcase Truman talent: students will be able to perform music, poetry readings, comedy and more. The event is completely free. Students that wish to sign up to preform may do so at sab.truman.edu/openmic. This presentation will provide an overview on surveying students, having students collect data as part of a class project and quickly obtaining IRB approval for activities. RSVP here by 12 p.m. Sept. 12. Located on the Gold Coast, Bond University is Australia’s oldest private university. Students may complete 12-16 credit hours per semester and choose courses from a variety of disciplines, which are listed on the university’s site. Presentations by a Bond University representative are open to all students interested in studying abroad. For more information about programs at Bond University, click here. 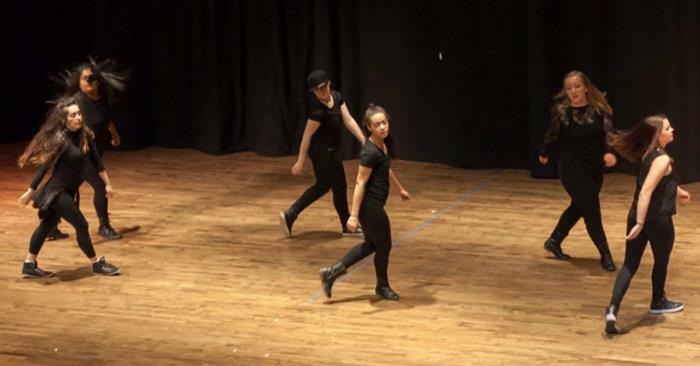 Hip-hop dance group Illusion Danz will host dance clinics and tryouts. Students will learn the tryout dances Sept. 9 and then return Sept. 10 for the official tryouts. Interested students should remember to bring their ID and an extra pair of shoes to enter the recreation center. Trying out is free and open to all students. For further information, email team captain Kinsey Helton at klh5225@truman.edu. The University Swingers give lessons in various vintage dance styles. No experience is needed to participate. The club meets at 8:30 p.m. every Wednesday in Pershing Small Gym (Pershing Arena through Sept. 14). The Swingers are also hosting an aerials workshop focusing on tossing and flips that is open to all students. For more information, email theuniversityswingers@gmail.com or visit their webpage at swingers.truman.edu. At 8 a.m. Sept. 11, McClain Hall will have a total building power outage for electrical system maintenance. Work is expected to take several hours. The campus data center is located in McClain Hall, so all IT services will be unavailable during this time. There will be no internet access, no wireless, no Blackboard, etc. All IT services will be down until power is restored. ITS will start taking down services at 6 a.m. Once power is restored, it will take approximately two hours to restart all IT services. Cardinal Key and Blue Key are sponsoring a blood drive and inviting students to participate and earn points for their organizations. Make an appointment by calling 800.Red.Cross or go online to redcrossblood.org and use the sponsor keyword “TrumanState.” Alternatively, stop by the signup tables in the Student Union Building the week before the drive to make an appointment. A lecture-recital recreating a concert performed on Truman’s campus in 1926 will be presented by Thomas Trimborn, professor emeritus of music, assisted by Jesse Krebs, associate professor of music, and Michael Bunchman, collaborative pianist and coordinator. The program will include period film clips, photographs, recordings and live musical performances. 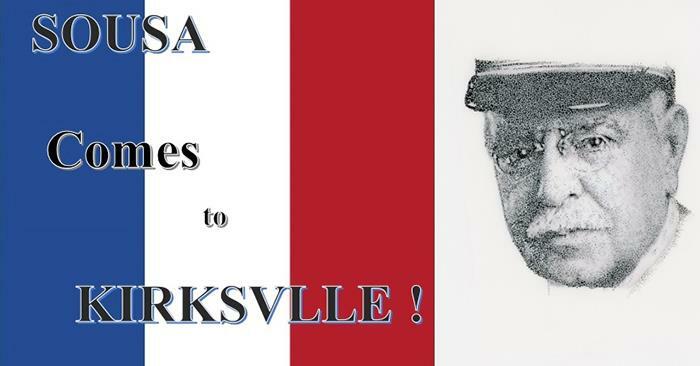 Close ties between Kirksville, Truman’s Department of Music, Kirksville High School and the dazzling professional music-making of that period will be explored in the presentation. This event is free and open to the public. The School of Business will host Allen North as the Bentele/Mallinckrodt Executive-in-Residence. North is an assistant vice president in banking supervision, credit, community development and learning innovation of the Federal Reserve Bank of St. Louis. Students who participate in the Campus Fire Safety Month Quiz and Sweepstakes could win a $500 American Express gift card. This interactive quiz will teach students to recognize unsafe practices and learn appropriate ways to cook meals that will reduce the risk for injury and damage caused by fires. 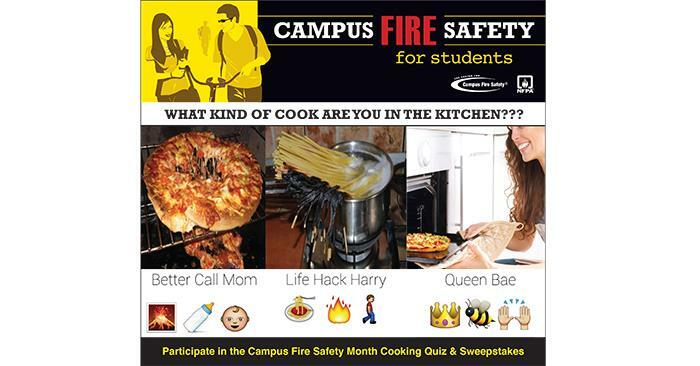 The quiz can be accessed at campusfiresafety.org/cooking during the month of September. Student Activities Board is hosting an outdoor zumba class with a dash of colored powder - lots and lots of colored powder. 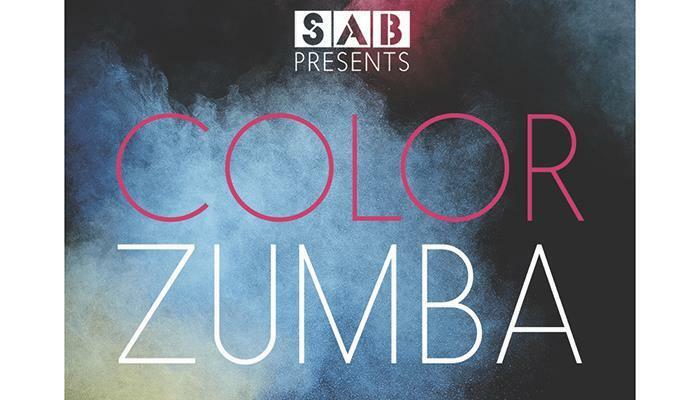 All students are invited to dance to the latest dance music while covered in a sea of colors. Plain white t-shirts will be given to the first 50 participants. Colored powder may stain clothing and can cause potential corn/rice allergies. There will be a designated location for those not wanting to be exposed to the colored powder. For further information, email the Student Activities Board. The Great Lakes Valley Conference is looking for a Truman student interested in its Sports Network Extra Credit Student Ambassador Program, which aims to provide students learning opportunities and on-the-job experience. The conference will enlist the assistance of one student on each campus to serve as an ambassador through May 1, 2017. 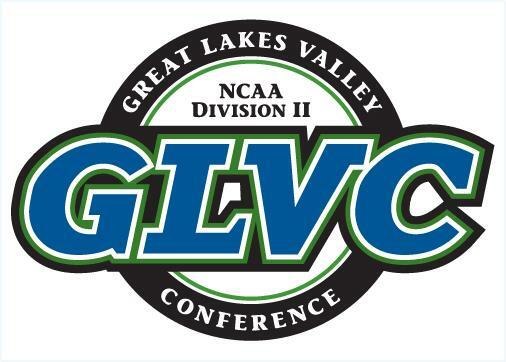 The program is an extension of the league’s Extra Credit initiative, which provides students with an interest in broadcasting, production, staging, sports information, print media, digital media and social media an opportunity to gain complete control of GLVC coverage from start to finish. General students and student-athletes are encouraged to apply by sending their resume and/or summary of interest to extracredit@glvcsn.com. For more information, visit GLVCSN.com. Student Affairs is offering a weekly Listen to Learn Dialogue where faculty, staff and students who are concerned about the events of the week can gather to provide support for one another, listen and seek understanding. In addition to these dialogues, University Counseling Services, Multicultural Affairs, the Women’s Resource Center and the Interfaith Center are always available for students who need additional support. Listen and Learn Dialogues will take place every Tuesday during the semester from 6-7 p.m. in Magruder Hall 1090. With the start of the fall semester, the Department of Public Safety wants to encourage the campus community to become familiar with the safety tips located on its website. DPS is located in the General Services Building at the corner of Franklin and Patterson streets. The involvement of the Truman and Kirksville communities is critical to the success of the department’s efforts and they appreciate citizen input. Campus emergency procedure information can be found at police.truman.edu/files/2015/12/Emergency-Procedures.pdf. Students can sign up for the TruAlert Emergency Text Messaging System via TruView. Sign in to TruView and click on the “Truman” tab. The registration link can be found in the lower right of the page under the “Update and View My Personal Information” channel on the “Emergency Text Messaging” link. With the potential for bad weather, students are encouraged to sign up for local weather alerts at kirksvillecity.com. Messages can be sent via text or email, and users can select what messages they want to receive. The Department of Public Safety created this six-minute video in an effort to educate the campus on options they have to survive an active shooter situation. The video can be found at police.truman.edu/emergency-procedures/active-shooter/active-shooter-preparedness-video. Weather permitting, the city tests all sirens the last Friday of every month. Students are encouraged to register their bikes. Details on how to register a bike can be found at police.truman.edu/safety-security/bicycle-rules-regulations. Bicycles parked on the Truman campus must be left in bicycle racks, which are provided in convenient locations. Bicycles are NOT to be left in buildings, entrances, ramps or any other hazardous locations. To learn more about the programs, services and the operations of the department, visit police.truman.edu. For questions, or to receive additional information related to keeping the campus safe, email police@truman.edu or call 660.785.4176. Jerrold Hirsch, professor emeritus of history, has been invited to give a guest a lecture at the Frazier Museum in Louisville, Ky., Sept. 15, in connection with the opening of the museum’s new exhibit, “Kentucky By Design: The Decorative Arts and American Culture.” His talk is entitled “Rediscovering America: The Federal Writers’ Project’s Legacy and Challenge.” He will also be interviewed for a PBS documentary on Kentucky’s role in the work on the Index of American Design. Hirsch was involved in planning the exhibit and has an essay, “Kentucky Folk Art: New Deal Approaches,” in the book/catalogue for the show, entitled “Kentucky By Design: The Decorative Arts and American Culture.” The book has been nominated for several awards. The Index of American Design was one of the most significant undertakings of the Federal Art Project—the visual arts program of the Works Progress Administration. Part of President Franklin D. Roosevelt’s New Deal, this ambitious program set out to discover and document an American style in everyday objects. The makers of the Index of American design saw themselves as rediscovering an American artistic identity that could be seen in the popular and folk arts created by and for ordinary Americans whose artistic impulse and creativity had gone unappreciated, indeed, had been dismissed as unimportant, when it was not denigrated. Daniel Mandell, professor of history, has joined the Yale Indian Papers Project as a subject specialist and consultant. The project is “a scholarly editing endeavor and collaborative research initiative that promotes an understanding of and dialogue on the historical and cultural forces that have shaped New England Indian life for several hundreds of years.” Mandell is involved with transcribing, annotating and commenting on documents relating to Indians, circa 1620-1880, from the Massachusetts State Archives. The U.S. Department of State is now accepting applications for the 2016-17 Critical Language Scholarship program. The CLS program is an intensive overseas language and cultural immersion program for American undergraduate and graduate students that spans 8-10 weeks during the summer. Scholarships are available for more than 20 sites abroad, with language study offered at various levels. To promote access to study abroad, the CLS program covers many of the costs, including: round-trip domestic and international travel, applicable visa fees, room and board, course materials, a small living stipend and U.S. undergraduate academic credit through Bryn Mawr College. To learn more about the program, visit clscholarship.org. For further questions, visit the Study Abroad Office in Grim Hall or email ciea@truman.edu. The Rangel Graduate Fellowship Program is a U.S. Department of State program that supports individuals interested in careers in the Foreign Service. It provides benefits of up to $95,000 over two years toward a master’s degree, arranges internships on Capitol Hill and at U.S. embassies and provides mentorship and professional development support. Fellows can use the fellowship to attend two-year master’s programs in U.S. institutions to study an area of relevance to the Foreign Service, including international relations, public policy, public administration, economics or business administration. 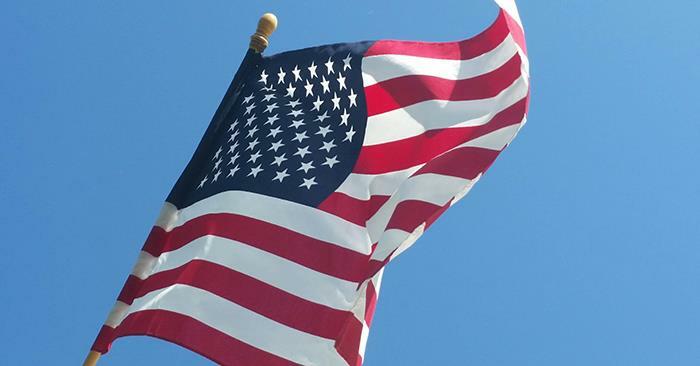 Upon successful completion of the two-year fellowship and Foreign Service entry requirements, Fellows join the Foreign Service of the U.S. Department of State, embarking on a uniquely rewarding career of international service. Applicants must be college seniors or graduates planning to start two-year graduate programs in fall 2017, must have GPAs of at least 3.2, and must be U.S. citizens. The program welcomes any undergraduate major and encourages applications from members of minority groups historically underrepresented in the Foreign Service and those with financial need. Information and application materials can be found at rangelprogram.org. The deadline for the 2017 Rangel International Affairs Graduate Fellowship is Sept. 19.